An immersive, interactive installation focused on the destructive presence of plastic pollution in our oceans. Developed, in part, in collaboration with CultureHub, “Drowning Planet” embeds video screens into an underwater garden of reclaimed plastics. 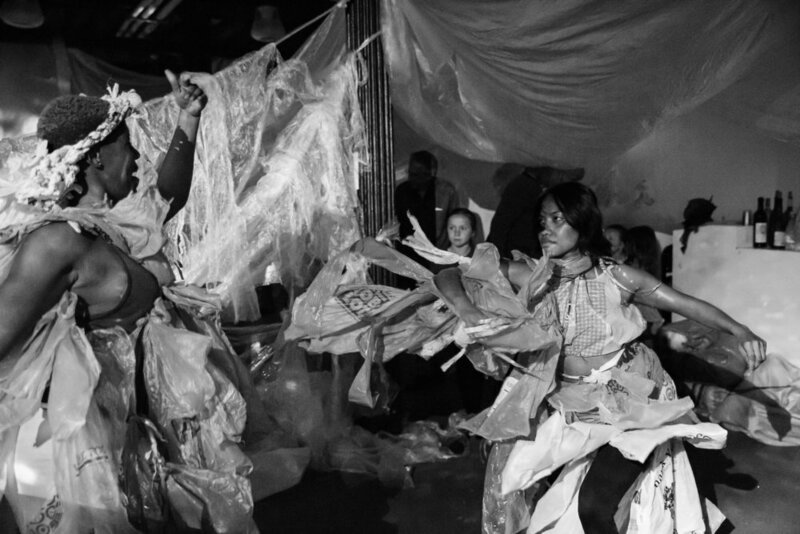 The installation will include, “Disposable Bodies,” live performance activations of the entire lobby, amidst collected single-use plastic bags woven, braided and tied into an evocation of kelp forests and submerged spaces.